Before the company has released a product, or even shown the general public details on what they'll eventually release in what should be the most amazing leap forward in mixed reality HMD technology, Magic Leap is worth up to $8 billion. The news is coming from an upcoming D round of financing that will see the Florida-based mixed reality company valued at $6-8 billion. Chinese e-commerce behemoth Alibaba will lead the D round of financing, with some of the largest companies in the world leaping into the mixed reality investment of Magic Leap. It was only 15 months ago that the company raised $793.5 million on a $4.5 billion valuation, adding to the $592 million it had raised earlier. There have only been a few people outside of the company and its investors and closest partners that have tried the mixed reality tech from Magic Leap, and if you look into the nitty gritty of the next level technology the company is working on, you'll understand why Magic Leap is so secretive. 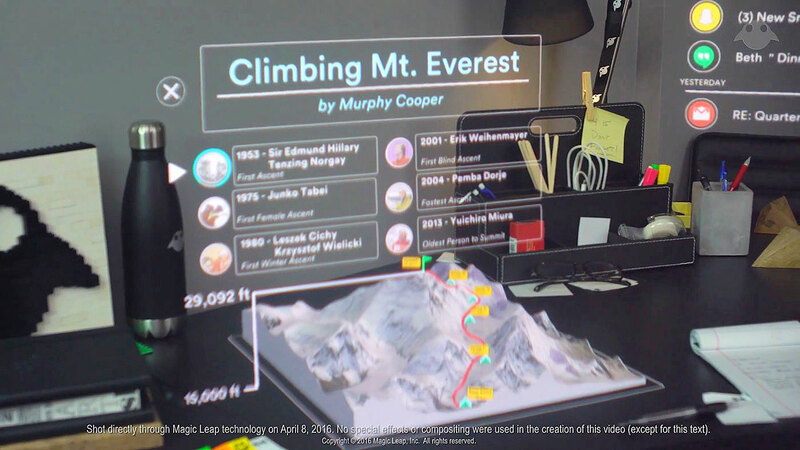 They're wanting to be "the Apple of AR" and with what they're working on, and the billions of dollars they're raising and the talent and help they've got behind them, Magic Leap could very well be a household name in a few years time. Magic Leap is working on something it calls Dynamic Digitised Lightfield Signal technology, which is able to "generate images indistinguishable from real objects and then being able to place those images seamlessly into the real-world". The secretive mixed reality giant is also now inviting developers to try out its headset, which hopefully means it's much closer to launch than something that is still five years away.